I've been meaning to post about this beautiful ring for some time now and just haven't got round to it! I got this Pandora ring from my lovely boyfriend for Christmas and I hear it's been a sell out all over the UK. I can see why! It's such a delicate ring and it's the only one I keep on all the time, and it looks so elegant with everything. 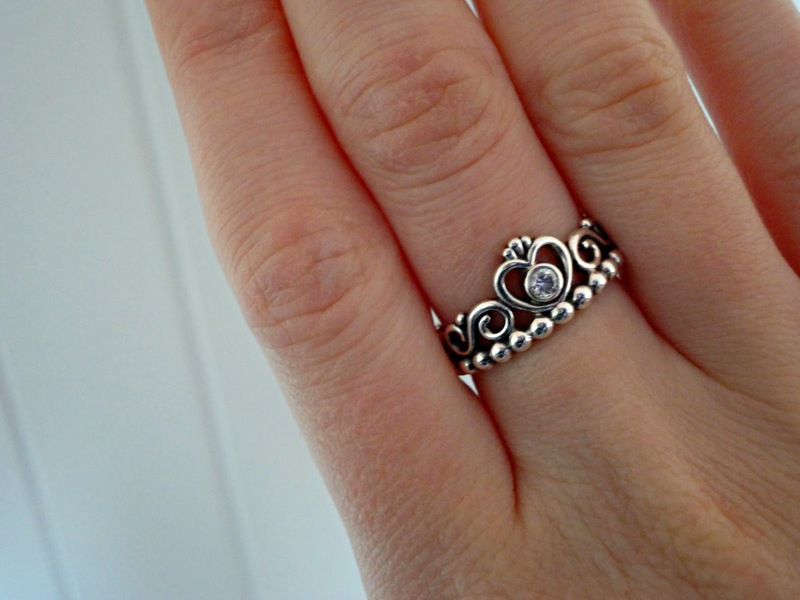 It's called the 'Princess Tiara Ring' which is such a cute name, and I love the little heart/tiara with the gem in the centre. I just thought I'd post about it because Pandora have some absolutely gorgeous rings/jewellery and they're well worth looking at for gifts etc as there's a huge price range and you're sure to find what you want!